It was unseasonably warm at the start of the week, as temperatures soared to as high as zero degrees. It’s getting mighty cold again now as winter bites back with a vengeance, but for a short time, most of the snow that captured my imagination when I first arrived had melted. The Montrealers cleaned up the snow with voracity; snow ploughs and earthmoving vehicles did the pushing, dump trucks roared out of town with frozen cargo, and pocket-sized tractors cleared the sidewalks. The good thing about the mild weather was that I could spend more time exploring. The bikes covered by snow all winter are now warped and rusted. Dads pull their kids through the park on sleds. Squirrels rifle through garbage bins. School is back, and kids dig and play in the snow during recess. A lot of buildings in Montreal, especially the apartments, are brick, squat and square. It’s the details I love in these buildings; the M.C. Escher wrought-iron staircases, curling upward to the first floor and down to the basement simultaneously, the Watson and Crick helix staircases tangling like metal vines. Some of my favourite Montreal houses are clustered around Square Saint-Louis on Rue Saint-Denis. Each of the tall Victorian era-meets-Hogwarts townhouses are unique in design. Haunted house turrets are brightly painted with matching windowpanes, others have flowers patterned into the roof tiles, some are even turreted and spired like castles. On the river is Habitat ’67, a futuristic spectacle of architecture, a cluster of blockish apartments stacked, interlocked and terraced. It was built in 1967 as a concept of optimizing living space in a crowded modern city. It reminds me of a fantastic exaggeration of science fiction architecture, like something from Blade Runner or Total Recall. 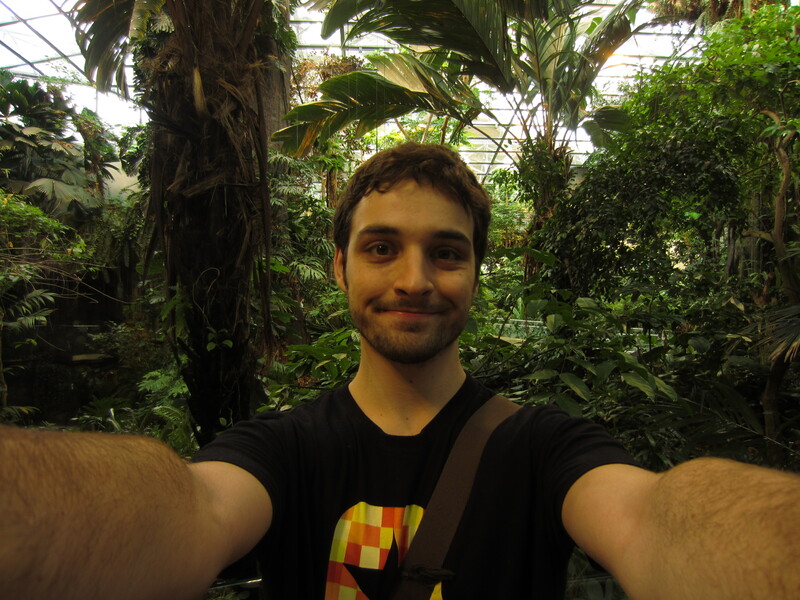 I checked out the Biodome, near the deserted Olympic stadium. The stadium was cool, it looked like a multiplayer base from Halo. 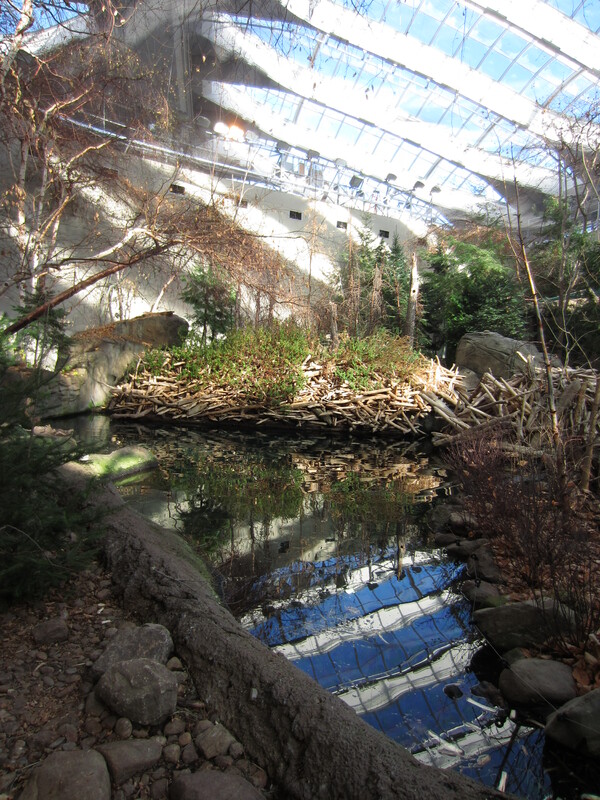 The Biodome was cooler, an indoor nature centre with controlled climate systems representing various American terrestrial systems. Tropical rainforest, the gulf of St. Lawrence, Labrador coast, sub-Antarctic islands, Laurantian maple forest, each had the humidity, temperature, animals and plants of that place. If you like biology and the science of ecosystems, or just like watching monkeys picking fleas from each other, then it’s definately recommended! Not so great was the Montreal science centre at the old port, which seemed tacky and aimed at small kids. Way cooler was the Cité des sciences et de l’industrie in Paris, with interesting exhibits, facts and actual science. I love science by the way. I still have a lot to write about Montreal. I was going to do a summary of the city, but as I write I realise there’s lots to cover and plenty of time to write. Journey to the underground city! Derrick and the legend of the old town! The poutine battles Derrick’s cardiovascular health!